You will be singing in the shower when you experience the herbal infusions of sage, chamomile and honey bush in this light lotion conditioner. 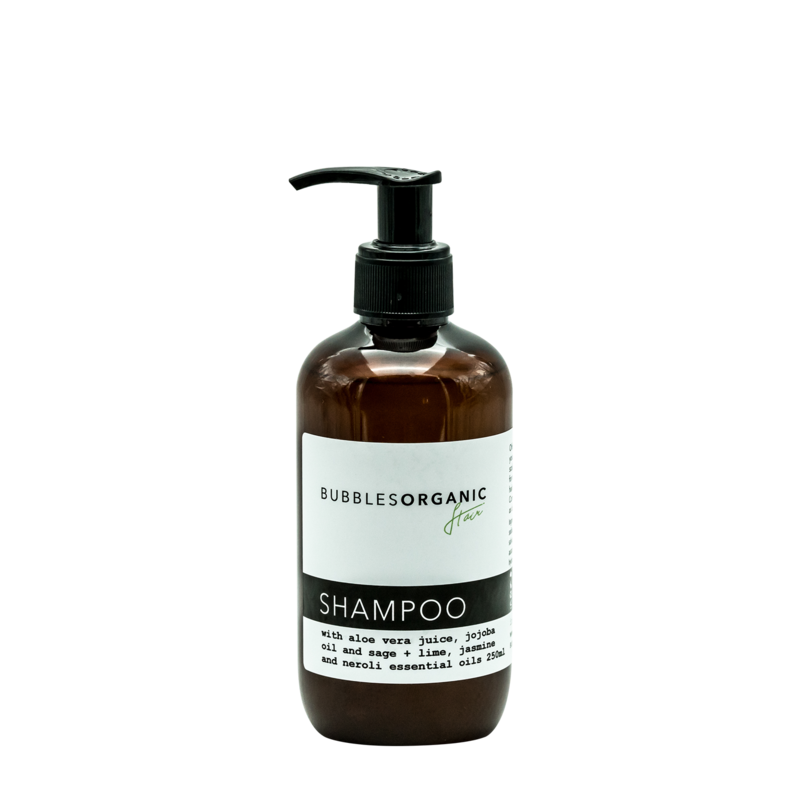 Blended with pure jojoba oil it will nourish and protect the scalp balancing sebum production to promote healthy shine. Switch off for a few minutes while Lime and Sweet Orange essential oils take you to a place where life is sweet and easy while Patchouli encourages self assurance… you deserve it. Aloe Vera Juice – Extremely hydrating – helps retain moisture, relieves irritation and inflammation of the skin, cooling, increases collagen production, contains vitamins A, B, B6, C & E – helpful in preserving product, wound healing. Jojoba Oil – deeply beneficial for the hair – moisturizes the scalp to prevent flaking and peeling, strengthens the hair shaft, and prevents hair from looking greasy and oily by balancing out sebum production. Yes we LOVE jojoba SO much if you haven’t worked that out already. Lime on the skin/hair – astringent, toning, effective for greasy skin and acne. It is suitable for any skin type, including sensitive skins. Lime for the mind – refreshing, uplifting, increases alertness and assertiveness – taking you to a place where life is sweet and easy! Jasmine – on the skin/hair – deeply penetrating it has a softening effect on the skin balancing dry sensitive skins and soothing irritated skin. Jasmine for the mind – helps you stay present and regain your passion for life. Release depression and fear – live and do what you really want to do! Neroli – on the mind – helps you trust your intuition and listen to your gut instincts. Grab onto life and take charge – if you keep waiting for the perfect time – you might miss out. 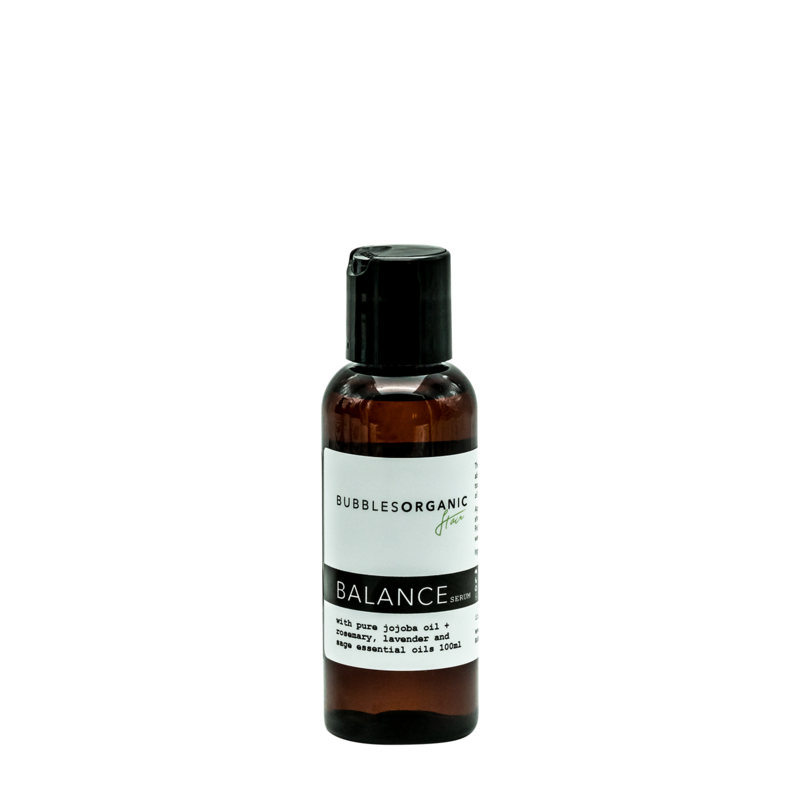 Patchouli – on the skin/hair – it helps alleviate signs of dandruff and balance oiliness. Patchouli – for the mind – stay self assured and bring head and heart together to enjoy all that life presents and remember your real strength lies in being you. Ingredients: *aloe barbadensis (aloe vera) leaf juice, cetearyl alcohol, cetrimonium chloride, *simmondsia chinensis (jojoba) seed oil, metricaria recutita (chamomile) extract, salvia officinalis (sage) extract, *cyclopia intermedia (honey bush) leaf extract, citrus aurantifolia (lime) oil, citrus aurantium (neroli) oil, anthemis nobilis (roman chamomile) oil, citrus sinensis (sweet orange) oil, pogostemon cablin (patchouli) oil, tocopheryl acetate, panthenol, *fragrance (parfum), phenoxyethanol, citric acid, positive energy. I love, love, love this product. I have waist length, curly hair which goes frizzy in humid weather (and I live in the tropics). 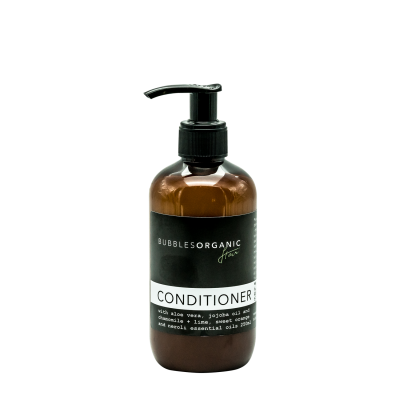 I only need to use a small amount of this conditioner and my hair is silky smooth and so soft. 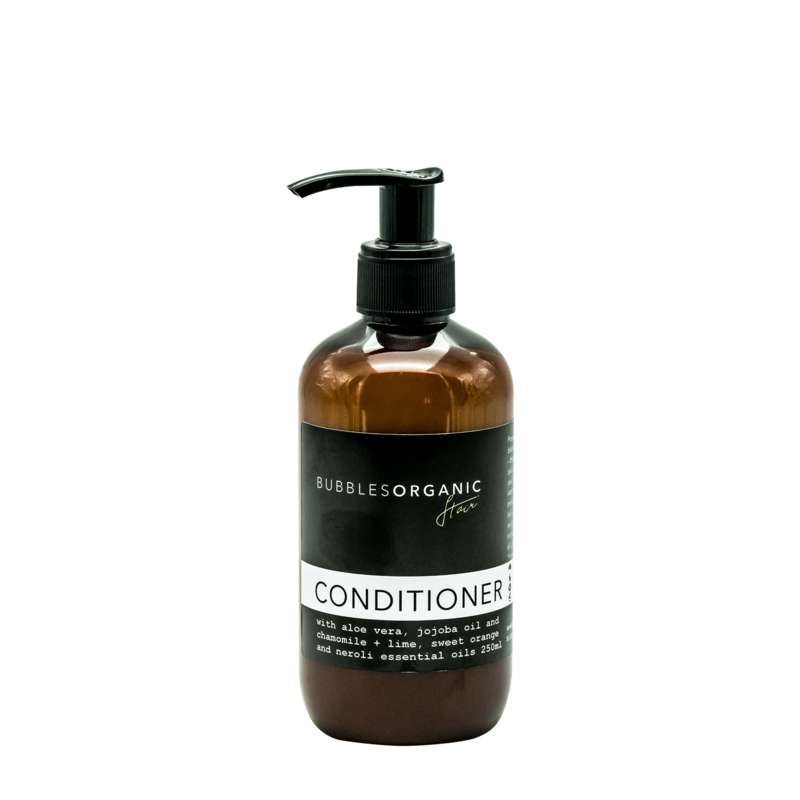 No more leave in conditioners to be able to get a comb through it after washing!